The programme offers a minimum 400-hour summer internship at hotels or service related organizations. A Graduation Cocktail for our Year 1 students of Higher Diploma in Hospitality (Hotel Operations) was held successfully on 31 August 2017 to celebrate the completion of their Internship Programme at Hyatt Regency Hong Kong, Sha Tin. Dr. Raymond Ng, Director of Lingnan Institute of Further Education, and Mr. Wilson Lee, General Manager of Hyatt Regency Hong Kong, Sha Tin, were invited to deliver the opening remarks. They appreciated the efforts of our students in this Internship Programme and encouraged them to develop themselves so as to contribute to hospitality industry. Mr. Wilson Lee presented the Certificate of Completion to each student. All of the guests and students enjoyed the delicious buffet which was prepared by Mr. Hongman Cheung, the Executive Chef of Hyatt Regency Hong Kong, Sha Tin. 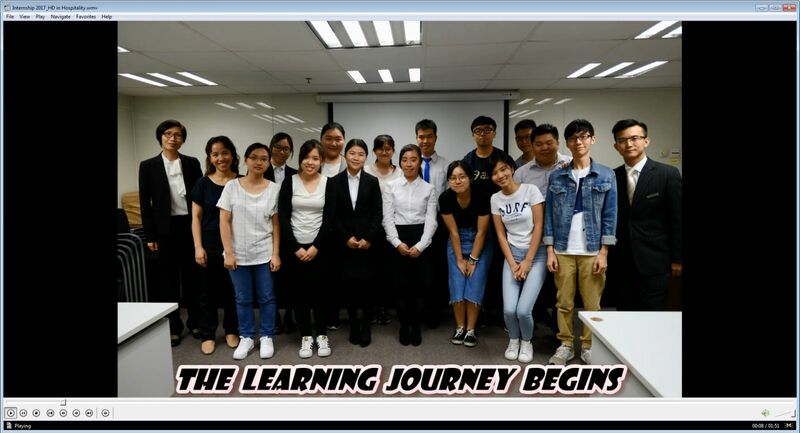 ​A career talk by Hyatt Regency Hong Kong, Sha Tin was arranged.